Have you got a problem you can't solve and need professional help? Call the premier private investigator Leeds has to offer for a prompt, discreet service at an affordable cost. We have a proven record in the private investigation business in Leeds and can help you now, promising fast accurate results. Whether your predicament is personal or commercial we have a service to meet your needs, as we are the number 1 choice in the city. When you contact us one of our Leeds based detectives will spend time to understand your dilemma so that the most appropriate plan of action can recommended. Delay makes problems worse so act now to make that change and get closure. Why Hire Private Investigator Leeds? If you're looking for the most experienced licensed private detective Leeds has to offer then look no further as all our Leeds investigators have served many years as practitioners in the police, the military or other government agencies and follow strict company policy whilst working to ethical codes of practice. We use the most sophisticated covert investigation methods and devices which not only are undetectable but give speedy answers, keeping costs to a minimum. You may be feeling apprehensive about making that initial call to us but believe us we understand how your fears and will do everything to put you at ease so you feel happy to share your concerns so one of our professional Leeds investigators can find the best solution for you. Have you got the ambition to become a private detective in Leeds? Private Detective Leeds know that the city has one of the UK's most diverse economies, with the private sector experiencing the fastest growth rate. To access the wide range of businesses in Leeds YOU would need to be familiar with the transport networks, such as the M621, Leeds railway station and Leeds Bradford International Airport. See how much you know by completing our quiz. How To Become A Private Investigator In Leeds? How Much Does It Cost to Hire A Private Investigator in Leeds, West Yorkshire? In Leeds, West Yorkshire, the reasons behind your wanting to engage a private detective determine how much you will be charged. Such services are available at Private Detective Leeds at affordable costs like tracking starting at £45.00 an hour while theft investigation begins at £50.00 an hour and infidelity monitoring at £45.00 an hour. If the circumstances of a case change, like say more agents are needed to cover a tracking service efficiently, the hourly rate of £45.00 will change proportionately. Another time the price may be affected is when a £95.00 an hour may go up if, after three visits, court appearance papers still cannot be served. How Much Does a Matrimonial Investigation Cost in Leeds, West Yorkshire? An infidelity case in Leeds is charged at £45,00 an hour for a solution that will give you peace. Should you be in a position to provide significant information at the beginning of the investigation, it may reduce the amount of time needed on the case and save you money on reduced hours. In Leeds, you can also opt for a pre-arranged infidelity investigation that is paid a lump sum and is more detailed. What Does a Lie Detector Test Cost in Leeds, West Yorkshire? You can have a Lie Detector Test done in Leeds for £399.00. However, it is possible to have a discount if more than one person takes the exam at once. The cost of the Lie Detector Test includes a pre-exam consultation and to cut costs, as can have the exam done in their home. How Much Does Surveillance Cost in Leeds, West Yorkshire? Starting at a £45.00 an hour charge, and depending on the number of detectives involved, a Surveillance investigation is possible in Leeds. The final charge will be dependent on the total number of hours and any specialist equipment involved. The monitoring package comes with a comprehensive report together with any supportive photographs and video recordings. What is the Price of a Corporate Investigation in Leeds, West Yorkshire? Corporate Investigation is charged a standing £75 an hour. The cost of engaging a private detective for a Corporate Investigation is dependent on many factors like the number of agents to be deployed on the job, equipment and time the exercise takes. All our private investigation services are confidentially handled, and we can give outstanding service as we have a wide range of information sources. When looking for facts about a situation, lots of people come to Private Detective Leeds in Leeds There are a selection of intriguing reasons why West Yorkshire' s Private Detective Leeds is sought-after after by many people and companies. Our services at Private Detective Leeds in Leeds and it is surrounding places include due diligence, tracking, surveillance and digital forensics. Locating missing persons and matrimonial surveillance are the most sought-after after services for personal clients in Garforth,Horsforth and Pudsey. Private Detective Leeds' s services are available in Garforth,Yeadon and Newsam Green and in West Yorkshire and it is surrounding places for private and corporate clients. Through our expert and experienced private detectives at Private Detective Leeds , we have successfully completed many jobs. It can be very stressing and psychological to offer with marriage conflicts in Leeds Not only will Private Detective Leeds support you during this dispute in Leeds, but our private detectives will provide you amazing solutions as well. There are signs to look out for that inform you when a theft has took place in Leeds When a particular individual is around, do cash and clothes abruptly disappear? It can be very troubling when you find out that the online business in Garforth you just invested a chunk of your cash is not legit. This type of horrible thing can be prevented by making certain that the West Yorkshire company is not fake. It can be very worrying and depressing when a family member in Yeadon unexpectedly goes missing. From adolescents to senior relatives, Private Detective Leeds' s missing person surveillance can discover any missing person in West Yorkshire. There are numerous reasons why individuals require matrimonial investigation in Leeds Private Detective Leeds can conduct out surveillance operations and identify the truth when you have reason to consider that your Horsforth partner is cheating in West Yorkshire. If you want to retrieve lost information and facts on your mobile phone , then digital forensics by Leeds-based Private Detective Leeds will help you Private Detective Leeds is on standby to help if you require to retrieved the data that is in your damaged mobile phone . Having a bodyguard in Yeadon will cause you to feel much securer when you are experiencing stranger issues. Leeds-based, Private Detective Leeds offers you with outstanding private security services. Private Detective Leeds, as a private detectives business, supplies expert and competitively priced services for domestic blocked drains firms in Leeds, for instance Blocked Drains Leeds (have a peek here). Private Detective Leeds, as a private detectives company, supplies expert and competitively priced services for drainage firms in Leeds, for instance Drainage Leeds (find out more). Private Detective Leeds, as a private detectives organisation, supplies expert and competitively priced services for aluminium windows firms in Leeds, for instance Aluminium Windows Leeds (investigate this site). Private Detective Leeds is a private detectives company that supplies expert and competitively priced services for sash windows firms in Leeds, for instance Sash Windows Keighley (site web). Private Detective Leeds is a private detectives business that supplies expert and competitively priced services for double glazing windows firms in Leeds, for instance Double Glazing Leeds (click here now). Private Detective Leeds is a private detectives organisation that supplies expert and competitively priced services for uPVC windows firms in Leeds, for instance uPVC Windows Leeds (company website). The detectives at Private Detective Leeds, private detectives company, supply expert and competitively priced services for replacement windows firms in Leeds, for instance Replacement Windows Leeds (visit this link). The detectives at Private Detective Leeds, private detectives business, supply expert and competitively priced services for skip hire firms in Leeds, for instance Skip Hire Leeds (you can look here). The detectives at Private Detective Leeds, private detectives organisation, supply expert and competitively priced services for private investigators firms in Leeds, for instance Private Investigator in Leeds (find out more). The investigators here at Private Detective Leeds, private detectives company, supply expert and competitively priced services for lie detector firms in Leeds, for instance UK Lie Detector Test in Leeds (investigate this site). How Can A Private Detective Leeds Based Help You? Are you in a situation where you suspect your partner may be cheating on you? Do you feel constantly anxious? Does your anxiety seem to have no end like the seemingly endless Leeds to Liverpool canal? You can change all this now by calling us and hiring a private investigator in Leeds who will take away any doubt and uncertainty you have about your relationship. We realise that being in a situation like this is distressing so we when you get through to us you'll find that one of our friendly caring investigators will listen carefully to all your worries before suggesting ways to help and get you the peace of mind you deserve. Only when you are completely satisfied with our proposal will we proceed with your case and find out exactly what your partner's up to. At the Leeds private investigation agency we promise complete discretion so they'll never know they are under surveillance. Look forward not back, take control and make that call. As the fastest growing city outside of London for professional, financial and legal services, together with an expanding retail economy, Leeds is a very successful business centre. However, such prosperity in business can lead to unscrupulous dealings such as theft, fraud and embezzlement. Fortunately, our Leeds private detectives have a sterling reputation in commercial investigations, in all areas of the city from Headingley in the north to Holbeck and Beeston further south. Our private investigation services for businesses are frequently used here with guaranteed success. Whether you want employees checked out, assets tracking and recovering, insurance claims investigating, debtors tracing or any other fraudulent activity investigating we have a service for you. Delay can cost thousands in lost revenue so act now if you need help to protect your business. One of our experts at the detective agency Leeds is waiting to take your call. Our global reputation means that we are highly respected and able to solve cases regardless of culture and ethnicity. All the experts in our Leeds private investigation agency specialise in areas specific to the case in hand. For example, as we offer a full range of additional personal services we realise that some situations can be emotionally challenging for those involved so each is handled with sensitivity to protect privacy and dignity. The private detection services offered include finding missing persons, in which we are successful even if someone has been absent for a period of time. We'll also run background checks on potential employees or partners, carry out lie detection or even find out what your nanny does whilst looking after your children. Whatever your problem we can help you now. You might have desired to open your own agency or shift your career towards private investigator work. We have put together some answers to questions you may have about qualifications, investigation training or even prospects in the industry at Private Detective Leeds in Yeadon. You must provide a good CV, and by this we mean one with details of your exploits and experiences in the industry, and not just qualifications, however, you have to bear in mind that the recruiter may want to carry out an investigation on you! 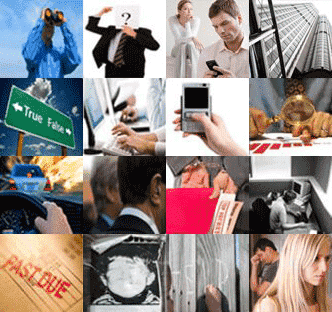 Private investigator role is vast and encompasses a wide range of investigative duties. Many companies require a good investigator from insurance companies to charities and from credit reference agencies to banks. There are great opportunities around with only a small amount of extra training from a private investigation course you may already have the skills to step into your new job. Message us on howtobecome@privatedetective-leeds.co.uk or give us a call today on 0113 418 2123. What Is a Private Investigator Average Salary In Leeds? You would want to find out how much is the usual salary of a private investigator in Leeds that may be acquired if you have aspirations of becoming one. Considering your background, knowledge of the law and private detective skills, salaries differ. As a beginner private detective at Private Detective Leeds in Garforth you will be earning a lower salary and can anticipate earnings of about £16,000 annually. There are also opportunities to earn higher salaries for Private investigators, they should be at advanced level to gain salary £25,000 per year and at superior level to reach £50,000 up to £100,000 per year. You should email us at info@privatedetective-leeds.co.uk or call 0113 418 2123 for more inquiries about this. You need to have a ton of patience and resilience when you are a private detective, since many private investigator jobs involve doing a lot of repetitive work. You also need to be sensitive and tactful, since Investigators handle a lot of customers who are emotionally unstable at the times. A whole lot of private detectives work as self-employed but sometimes are hired for specific investigator jobs by private investigator firms like Private Detective Leeds based in Leeds. Although you are not required to have any private detective job related training or private investigator work experience, you can have an added advantage if you have worked in the security industry or law enforce before. If you want to find out more about private investigator and detective jobs dial 0113 418 2123. What Kind of Training do You Need to be a Private Investigator In Leeds? Private Investigation Courses In Leeds - One of the methods of qualifying as a private detective for those with no prior training or experience in carrying out an investigation is to take a private investigator training course. Private Detective Leeds based in Leeds is concerned about those undergoing City and Guilds investigative training qualifications. You can enrol at a nearby training institution or take the private investigation courses online. Speak to us through 0113 418 2123 or send us an email on courses@privatedetective-leeds.co.uk for assistance on the excellent available courses on investigation in the market. It is clear for Private Investigation License Private Detective Leeds which is based in Pudsey that the Government have put into effect the licence requirement for the field of private security through the Security Industry Authority of SIA, and Door Supervisors, manned guards, and Close Protection Officers are included. This license for Private investigators by the SIA came in the bid to ensure that the Private Investigator sector and the mentioned private security industry sectors maintain their major functions of offering top notch services to their clients, always show good example in business and to advance in the right direction. A SIA Licence goes for £220.00 which lasts for 3 years, the application process as a Private investigation involves one possessing an UK work permit and therefore make it through the tests "Fit and Proper Person" and the "Test of Competency". Through private detective, which includes investigations, interviews, surveillance techniques, hunting and recording of information and knowledge and understanding of the law, indicates that private detective has been fulfilling its required calibre as what The British Standard for the Provision of Investigative Services has advised. For more intelligence on how to get a Private Investigator License you can talk to us through 0113 418 2123 or you can email us on icense@privatedetective-leeds.co.uk for assistance. Private Investigator Costs and Fees Newsam Green based, Private Detective Leeds most frequently asked questions touch on prices and fees to hiring a private investigator. How to Find a Cheap Private Investigator In Leeds? At Pudsey based Private Detective Leeds we will give you the most excellent investigator services when you need cheap private investigator services that are worth every penny. Based on the facts you give us about your case, we will provide you with cheap private detective services. You will get value for the money you are paying, and we will tell you the exact amount needed, since there are no hidden costs and fees associated with the private investigator fees we provide; we believe in transparency. We are a friendly orientated private investigator company and fancy creating a warm and professional bond with our clients. We know how best to satisfy you requirements and needs when we take the time to interview you. The first impression you will get about us when you call Private Detective Leeds on 0113 418 2123 is that we do not use the same method to handle all private detective cases, though you will get cheap private detective services from us. Because everybody comes with cases that are peculiar to them, variations exist between our costs. For more discussions you can send us an email with your description on cheap@privatedetective-leeds.co.uk and we will converse on the issue. The mentioned question is tough to answer before we get to know all about our client's situation. It is necessary for us to have a full grasp of their individual conditions before we could determine the programme that is best for them. If a customer's circumstances are such that a surveillance investigation is needed, our expert private investigators and detectives would plan and execute a surveillance task appropriate for the current situation. The private investigator fees and costs depend on the duration of the assignment, on a number of investigators needed as well as the assignment planning. Costs include travel, investigation on location, and means of transportation in case vehicles used, special equipment, report writing and communication with the client during the exercise. Though there are nuances in the fees per hour, depending on the circumstances witnessed in the course of the operation and extra charges, but the normal set fee is £55.00 per hour. For a free quote of costs and fees and more information please email us at quote@privatedetective-leeds.co.uk or call our professional team on 0113 418 2123. How Do You Know If Your Spouse Is Cheating in Leeds? Horsforth located, Private Detective Leeds can investigate to see if your suspicions of cheating are right if you have a suspicion that your spouse is cheating. infidelity private investigator will examine your condition directly after your calling is received. The examining based on six most common hints of cheating that may appear from your date. Cheating signs include but not exclusive to laxity in closeness, doubtful phone calls, alternation in clothes styles, personal make over, private internet use, variation in working hours with overtime and regular shower upon return home are the six common indicators. Through infidelity surveillance investigations, our experienced private investigators can help provide evidence of a cheating spouse. If you have any mistrustful feeling to your date, recruiting a private investigator to investigate is a best choice because they have good ability on investigate a cheating husband or wife easily and quickly, so that your bad feeling can be solved as soon as possible. By giving quick and expert results with our infidelity investigation, we can assist you in getting through this emotionally stressful period in a prompt manner. If you think in the condition which needed our help, don't be hesitate to phone us on 0113 418 2123 or text us at cheatingspouse@london-privatdetectives.co.uk. In 1833 French soldier, privateer and felon Eugene Francois Vidocq created the first private investigator's agency of which there is knowledge, Le Bureau de Renseignements Universels pour le commerce et l'Industrie. Ex-prisoners who performed investigations and other private detective duties were hired by this private investigator agency ; however, the official law enforcement did not like them and made efforts to close the operation several times. Thanks to a suspicion of illegal incarceration and appropriating money on a dishonest way Vidocq got arrested by the police in 1842 after resolving a case of fraud. He was sentenced to five years imprisonment and charged 3, 000 francs; he was later discharged by the Court of Appeals. He developed a form of anthropometry which is still utilised by the French police force nowadays together with creation of the first plaster cast of a shoe, and he devised ineradicable ink and unaltered bond paper through his own printing company. Being established in France, the private investigator industry was created by Vidocq over the private detective corporation. The greater part of the early private investigators went about as police in situations where the customer suspected that cops were not intrigued or arranged to do. A large portion of the parts embraced by these present day private detectives is included helping organizations with work question and as a rule they were utilized as furnished security monitors. Afterwards in 1852, Charles Frederick Field, a private investigator in Leeds, begun an inquiry office once he resigned from the Metropolitan Police. Charles Dickens, a writer, would constantly follow the police officers on their nocturnal rounds. In 1851, Dickens wrote a brief article "On Duty with Inspector Field" and it is proposed that his "Bleak House" character Inspector Bucket on his friend Field. There is no need for a private detective license in the UK to look employment working as a private detective or private investigator in the UK. On the other hand, the SIA (Security Industry Authority) has been asked by the British Government to prolong their supervision of the United Kingdom security manufacturing services, over authorization, to the private investigator sector of the field. Most private investigators are employed to carry out different tasks that are not often connected to the security industry by the populace. These type of services involve those private detectives that are associated in serving procedure which is the private delivery of lawful documents like court summons, divorce papers and statutory claims. Most private investigation company takes finding missing people and tracing debtors who have run away as their area of specialisation. Some private investigators are professional witnesses and offer the court with details and proof they have collected for a case over supervisions. Another area that an expert private investigator will carry out an investigation into is the tracking of hidden electronic devices, discarding and eliminating them is TSCM (Technical Surveillance Counter Measures) or bug sweeping . Private investigators that have had previous experience in intelligence and counterintelligence can carry out this kind of investigative work. These private investigators can frequently fit a spy equipment and devices as a mechanism in organised crime inspection. Corporate investigators specialize in corporate matters that include loss prevention, internal investigations, and fraud investigation - often into employee misconduct. The security of a corporation involves information, intellectual possession and business secrets, copyright concerns, due diligence researches, malware and cyber illegal acts and finally computer forensics. A person who conducts an undercover investigation into those doubted of criminal activity is an undercover investigator, undercover detective or undercover agent . The undercover investigator will frequently access a suspicious criminal group and cover themselves as an individual interested in goods or tasks with the aim of obtaining more details and proof of a suspect. The mechanism of an undercover investigator constantly involve a hidden camera known as bodycam or recorder that they wear camouflaged under their clothes in order to record every single information. Due to the risk surrounding an undercover job, it is important that throughout the duration of the investigation which could go beyond a year the real personal details of the private investigator are kept secret. Undercover investigators are also hired to investigate employees for abuse of fellow colleagues, bogus sick leave and espionage. Private Investigators are needed to be licensed throughout the remaining world. A lot of private investigators may be armed, but that it is based on local laws. Some private investigators worked as police officers previously while others were previous spies, had jobs in the military or worked previously as bodyguards or security guards. In many countries private detectives are often limited to the power of a citizen's arrest and they do not have the same power as their police force. In preparation for an appearance in court, any observation a private investigator makes should be noted, and sufficient visual proof should be added. Remaining up to date with the laws and regulations that are in place in the area they are working in as a detective is really important for the private investigator because they can face criminal charges if they break the law. Our Private Investigation Services Cover: Aberford, Adel, Adel East Moor, Adwalton, Allerton Bywater, Alwoodley, Alwoodley Gates, Alwoodley Park, America Moor, Armley, Arthington, Arthursdale, Atkinson Hill, Austhorpe, Bagby Fields, Bank, Bankhouse Bottom, Bantam Grove, Bardsey, Barwick in Elmet, Beechwood, Beechwood, Beeston, Beeston Hill, Beeston Park Side, Birks, Black Gates, Black Moor, Boston Spa, Bradley Hill, Bramham, Bramhope, Bramley, Brianside, Brooklands, Brown Moor, Bruntcliffe, Burley, Burmantofts, Burn Knolls, Buslingthorpe, Calverley, Cambridge, Camp Field, Camp Town, Carlton, Carr Crofts, Cavalier Hill, Chapel Allerton, Churchfields, Church Garforth, Churwell, City, Clifford, Cockersdale, Collingham, Colton, Colton Common, Cookridge, Cragg Hill, Crimbles, Cross Gates, Cross Green, Daisy Hill, Deighton Gates, Delph End, Drighlington, East Ardsley, East Carlton, East Garforth, East Keswick, Eccup, Far Headingley, Farnley, Far Royds, Farsley, Fearn's Island, Fearnville, Fulneck, Gamble Hill, Garforth, Gildersome, Gillroyd, Gipton, Gipton Wood, Gledhow, Graveleythorpe, Great Preston, Greenbottom, Greystone, Guiseley, Half Mile, Hallfield, Halton, Halton Moor, Harehills, Harehills Corner, Hawksworth, Hawksworth, Headingley, Headingley Hill, Henshaw, High Weardley, Hillfoot, Holbeck, Hollin Park, Hollinthorpe, Holt Park, Horsforth, Horsforth Woodside, Hough End, Hough Side, Hunslet, Hunslet Carr, Hyde Park, Intake, Ireland Wood, Islington, John O' Gaunts, Kelcliffe, Kiddal Lane End, Killingbeck, Kippax, Kippax Common, Kirkstall, Knotford, Knowsthorpe, Lady Wood, Langley, Lawnswood, Ledsham, Ledston, Ledston Luck, Lidgett, Lidgett Park, Linton, Little London, Littlemoor Bottom, Little Preston, Lofthouse, Lotherton, Lower Fagley, Lower Wortley, Low Farm, Low Moor Side, Low Town End, Low Weardley, Mabgate, Manston, Meanwood, Methley, Micklefield, Mickletown, Middleton, Mill Shaw, Monkswood, Moor Allerton, Moor Garforth, Moor Gate, Moor Head, Moorside, Moor Side, Moortown, Morley, Morley Hole, Mount Pleasant, Nethertown, Newall, New Blackpool, New Brighton, New Farnley, Newlay, New Scarborough, Newton, New Town, New Wortley, Nook, Oakwood, Old Bramhope, Old Micklefield, Osmondthorpe, Otley, Oulton, Parklands, Park Spring, Park Villas, Peckfield Bar, Penda's Fields, Pool Bank, Pool-in-Wharfedale, Potternewton, Potterton, Pottery Field, Pudsey, Quarry Hill, Raby Park, Rawdon, Richmond Hill, Robin Hood, Rodley, Roker Lane Bottom, Rothwell, Rothwell Haigh, Roundhay, Round Hill, Royds Green, Rufford Park, Sandford, Sandhills, Scarcroft, Scholes, Scotland, Scott Green, Scott Hall, Seacroft, Shadwell, Shaw Lane, Sheepscar, Silver Royd Hill, Slaid Hill, Stanks, Stanningley, Steander, Stourton, Swarcliffe, Swillington, Swillington Common, Swinnow, Swinnow Moor, Tannery Yard, The Green, The Leylands, The Oval, Thorner, Thorp Arch, Thorpe on the Hill, Thwaite Gate, Tingley, Tinshill, Tinshill Moor, Topcliffe, Town End, Tranmere Park, Troy, Troydale, Troy Hill, Upper Armley, Upper Green, Upper Moor Side, Upper Wortley, Walton, Weetwood, Well Hill, Wellington Hill, West Ardsley, West Carlton, Westerton, Westfield, West Garforth, West Park, Wetherby, Whinmoor, Whitkirk, Whitkirk Lane End, Wike, Windmill Hill, Woodend, Woodhall, Woodhouse, Woodhouse Carr, Woodhouse Cliff, Woodhouse Hill, Woodkirk, Woodlesford, Wood Row, Yeadon, . The Postcodes We Cover Are: LS25 3, LS16 8, BD11 1, WF10 2, LS17 7, LS17 8, LS17 7, LS27 0, LS12 2, LS21 1, LS15 4, LS10 2, LS15 8, LS2 9, LS9 8, LS28 8, LS27 8, LS17 9, LS15 4, LS18 5, LS14 1, LS11 8, LS11 6, LS11 5, LS27 0, WF3 1, LS17 7, LS23 6, LS13 3, LS23 6, LS16 9, LS13 3, LS14 6, LS15 8, LS27 0, LS4 2, LS9 7, LS27 8, LS7 2, LS28 5, LS21 1, LS11 5, LS17 7, WF3 3, LS12 3, LS9 8, LS7 3, LS26 0, LS25 1, LS27 7, LS27 8, LS23 6, BD11 1, LS22 5, LS15 9, LS16 7, LS18 4, LS28 9, LS15 7, LS9 0, LS27 8, LS22 7, LS28 7, BD11 1, WF3 2, LS19 7, LS25 2, LS17 9, LS16 8, LS6 4, LS12 5, LS12 6, LS28 5, LS9 8, LS8 3, LS28 8, LS13 4, LS25 1, LS27 7, LS27 8, LS9 6, LS8 3, LS8 1, LS15 7, LS26 8, LS20 9, BD11 1, LS20 8, LS13 1, LS22 6, LS15 0, LS9 7, LS8 4, LS5 3, LS20 8, LS6 3, LS6 2, LS19 7, LS17 9, LS28 8, LS11 9, LS8 3, LS26 8, LS16 7, LS18 4, LS18 5, LS13 4, LS28 9, LS10 1, LS10 2, LS6 1, LS13 1, LS16 6, LS11 0, LS26 0, LS20 9, LS14 3, LS14 6, LS25 7, LS5 3, LS21 1, LS9 0, LS8 2, WF3 3, LS16 6, LS25 5, WF10 2, LS25 7, LS25 1, LS8 1, LS22 4, LS7 1, LS28 9, LS26 8, WF3 3, LS25 3, BD2 3, LS12 4, LS16 6, LS12 5, LS27 8, LS17 9, LS9 7, LS15 8, LS6 4, LS26 9, LS25 4, LS26 9, LS10 3, LS11 8, LS14 1, LS17 5, LS25 1, LS25 7, LS27 7, LS13 2, LS18 5, LS17 6, LS27 9, LS25 7, BD11 1, LS21 2, LS12 5, LS27 9, LS12 5, LS13 1, LS19 7, WF10 2, LS9 7, LS12 1, WF3 1, LS8 2, LS16 9, LS25 4, LS9 0, LS21 3, LS26 8, LS14 6, LS12 5, LS8 1, LS25 4, LS15 8, LS21 1, LS7 4, LS15 4, LS10 1, LS28 7, LS9 8, LS22 6, LS19 6, LS9 9, WF3 3, LS13 1, LS12 5, LS26 0, LS8 2, LS28 7, LS26 8, LS19 7, LS13 2, LS14 3, LS15 4, LS18 5, LS27 7, LS7 2, LS14 2, LS17 8, LS19 7, LS7 1, LS12 4, LS17 8, LS14 5, LS28 6, LS2 7, LS10 1, LS14 5, LS26 8, LS15 4, LS28 6, LS13 4, LS14 6, LS2 7, LS14 6, LS14 3, LS23 7, WF3 3, LS10 1, WF3 1, LS16 7, LS27 9, LS27 8, LS20 8, LS18 5, LS28 9, LS27 8, LS12 3, WF3 1, LS12 5, LS12 4, LS23 7, LS16 8, LS27 8, LS14 2, WF3 1, LS20 9, WF3 1, LS19 7, LS25 1, LS16 5, LS22 6, LS14 2, LS15 9, LS15 8, LS17 9, LS28 8, WF10 2, LS28 5, LS2 9, LS6 2, LS10 3, WF3 1, LS26 8, LS26 9, LS19 7.